It seems as if today’s vehicles are getting more and more innovative, and that’s exactly what’s happening with today’s Land Rover models. Thanks to improved technology and driver convenience, Land Rover offers InControl® technology, a suite of platforms designed to keep you completely informed, entertained, connected, and engaged whenever you’re hitting the Baltimore roads. With the InControl technology, you have access to all the infotainment you need. With an 8-inch touchscreen, you have access to an integrated navigation system, voice control system, climate control, and so much more. And if you upgrade to the InControl Touch Pro™ system, you’ll enjoy all this on a 10.2-inch touchscreen instead. In addition to having information and entertainment at your disposal, the InControl feature keeps you connected to the world around you. For starters, the navigation system provides real-time traffic information, so you’ll always have the fastest route available. If you want to stay connected to others, take advantage of the InControl Wi-Fi, which allows up to eight devices to stay connected at one time. Finally, using the InControl Apps feature, you can have instant access to the information and items that matter most, such as your calendar, trip planners, and so much more. Not only does the InControl system keep you connected and entertained, but it also offers a lot in terms of safety. Through the InControl Remote™ feature, you can access vehicle information, start/stop your vehicle, and even lock/unlock doors remotely. Plus, you can sync this feature up with an Apple Watch, making it even more accessible no matter where you are. Using the InControl Protect™ feature, you can have instant access to first responders or driving assistance whenever you need it. This feature will transmit location information, as well as vehicle information when necessary, to those coming to help you, so you can rest assured you’ll always receive the proper care when you need it most. Finally, you never have to worry about your Land Rover model being stolen and lost forever. Each Land Rover model comes equipped with a stolen vehicle locator. Through a monitoring center, a Land Rover assistant will work with police to track your vehicle’s current location. This way, the police can recover your vehicle quickly, and you don’t have to go through the hassle of getting a new one. Baltimore and Arnold drivers are lucky. 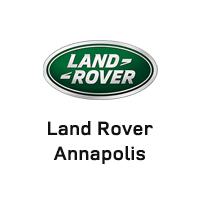 When you want a Land Rover model that comes with the impressive InControl technology, all you need to do is visit Land Rover Annapolis at 101 Ferguson Road in Annapolis. Here, you can check out our amazing inventory and learn more about the Land Rover technology. Feel free to contact us online or call us at 410-907-8300 to schedule a test drive or apply for financing.